Since the dawn of public transportation systems, well before the smartphone app revolution, there has been one tried and true method of determining when a public transport vehicle is nearing a stop: looking over the edge. Despite its widespread acceptance, this seemingly benign act is actually quite dangerous. Customers can easily fall in the path of an oncoming vehicle or sustain injuries in other ways (including the fall itself, getting hit by another vehicle, or even electrocution by the third rail). 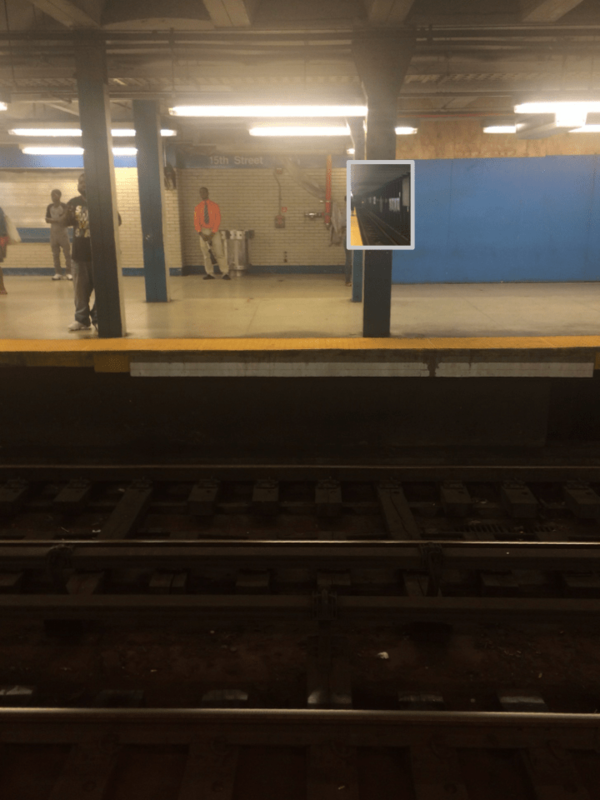 In order to satisfy customers’ desires to look over the edge while keeping them a safe distance away from the platform edge, mirrors should be used and angled at strategic points on the platform. While the use of mirrors on train platforms is nothing new, they are most frequently positioned so an operator can see customers boarding and exiting one’s train. Modifying these such that they are angled along platforms could enable customers to safely sit mid-platform and see a train approaching with the same precision as another customer dangerously veering over the edge. The placing of these mirrors would have to be done relatively strategically; placing them in high-traffic areas would minimize the number of persons veering over the edge, whereas placing them in less trafficked areas could help draw people to better utilize other portions of the platforms. Pilot at a very busy stop, preferably 15th Street where observing the tracks near the platform edge is a common occurrence. Observe behavior during the pilot; if successful, expand throughout the SEPTA system.